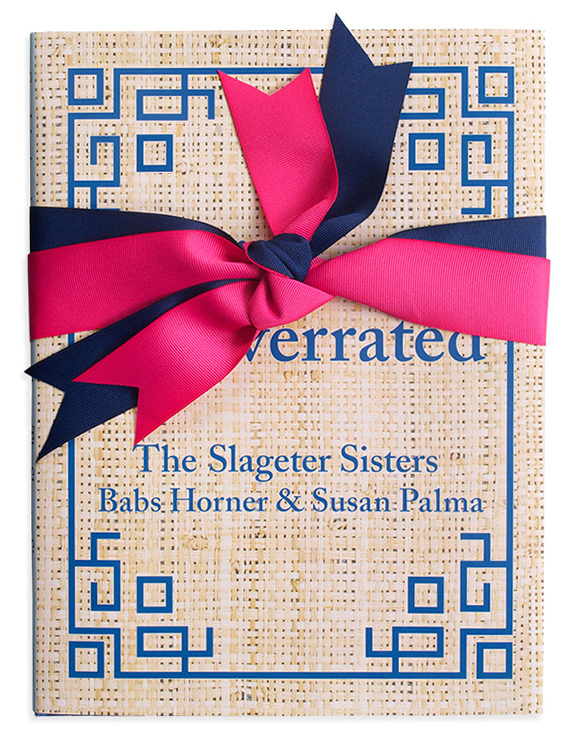 I absolutely adore Sophistication is Overrated by Babs Horner and Susan Palma. If you read this post, you're already aware of my enthusiasm. It's in its second printing which is no surprise. Not only do I love my copy and refer to it constantly; it's also my "go to" gift. 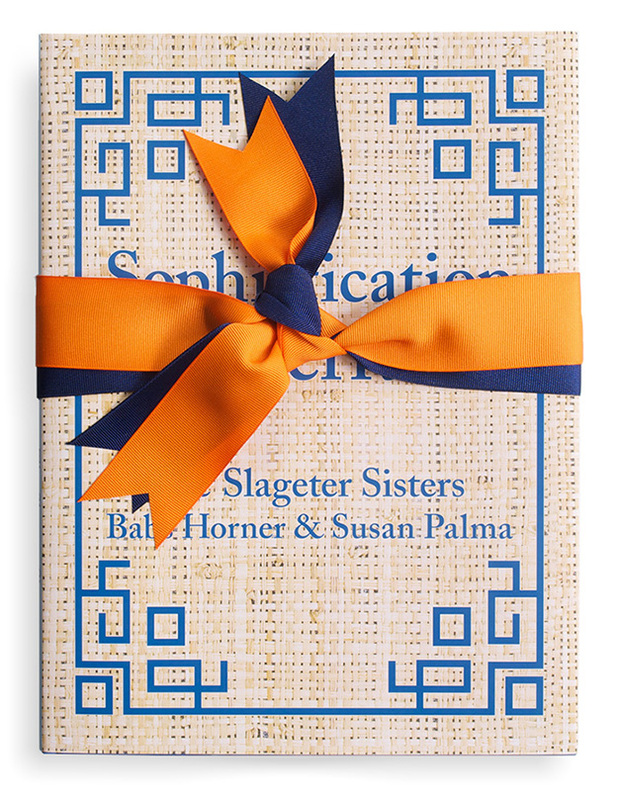 If purchased here, your copy arrives signed and with gorgeous grosgrain ribbon. I love that they're including this fall/Thanksgiving color option -- so perfect for gift giving. Sisters Babs Horner and Susan Palma don’t take anything too seriously --especially entertaining. A party is more fun that way, they say. 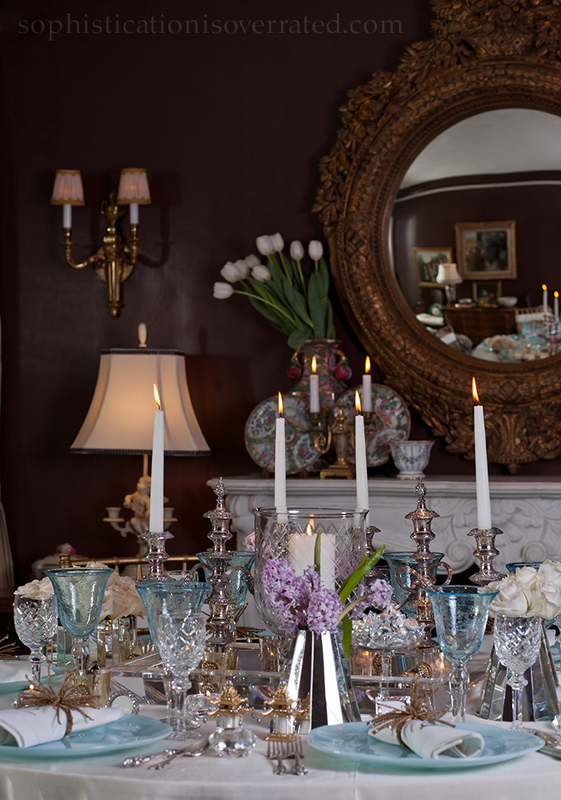 Horner, a gourmet caterer in Connecticut, and Palma, a decorator in Dallas, share their humor and silliness in their new book, Sophistication Is Overrated (Brown Books, $55). While there are no shortages of blow-up dolls and funny party themes, the book also offers a collection of recipes and decor ideas to seriously impress. 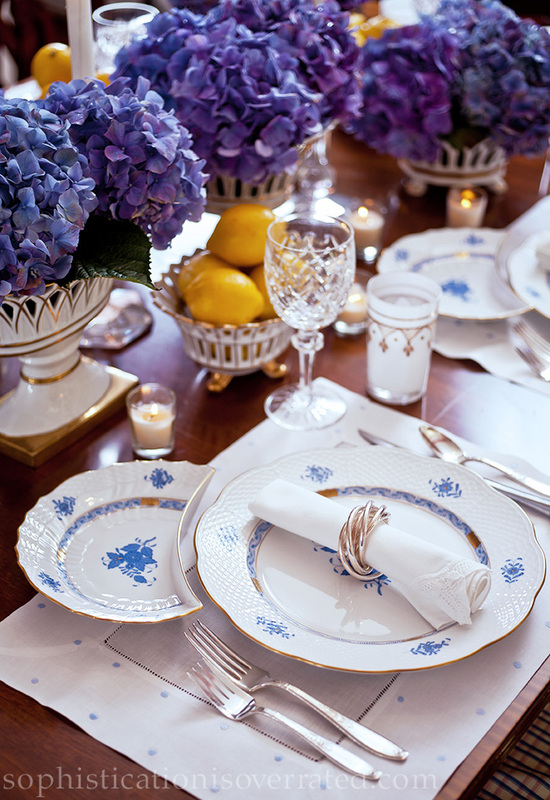 For each party idea, the sisters suggest hostess tips, menus, tablescapes — and then a crazy counterpart. The 30th anniversary party ideas are followed by a party celebrating a new trophy wife. While they go for laughs, the sisters deliver plenty of inspiration, too. Besides the to-die-for-recipes, I love being able to see a gorgeous tabletop and use the sources provided to recreate it myself. Would you guess by looking at this lovely tabletop that there are astonishingly inexpensive items used that are available almost everywhere? This looks almost too pretty to eat. 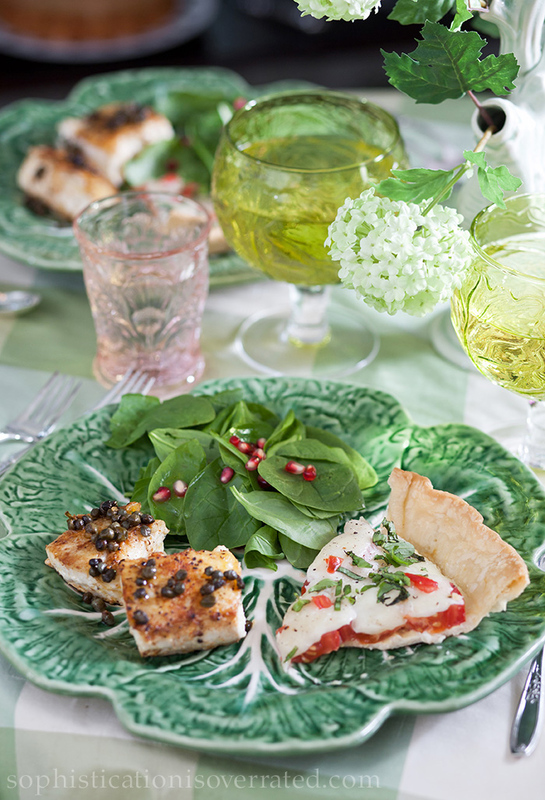 The book is full of fantastic recipes and gorgeous food photography. 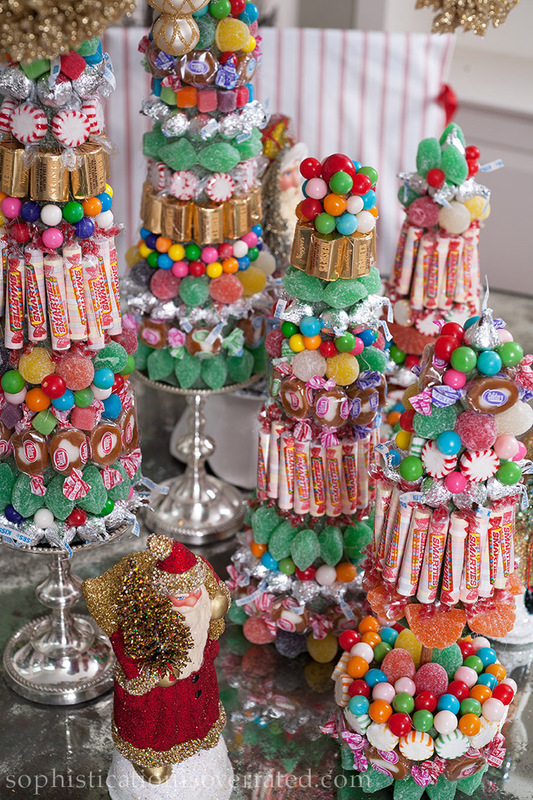 As are directions for creating these spectacular Christmas candy centerpieces. My daughter and I can't wait to create several of these for our holiday decor. *Pre-sales start Oct 19th in their beautiful new store! Friday & Saturday, November 13 & 14, 2015 | 10:00 a.m. - 6:00 p.m.
Sunday, November 15, 2015 | 10:00 a.m. - 5:00 p.m.